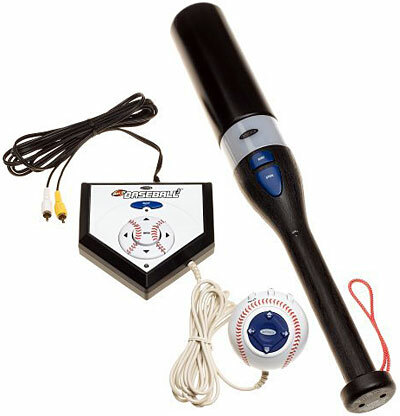 Sacrifice flies, double plays, sliding, pick offs, it's all in the plug and play TV sports game. Real swing and pitch action get you off the couch and into a real game. Realistic music and commentary. New features in version 3 include stealing and bunting. Real pitch control and feilding abilities. IR bat for precise batting. Plays up to four players.